I wrote a rulebook for a game that you may already know how to play. It doesn't need a board, dice or cards. The only thing you have to have is a group of people to play the game with, and it's better if you trust them. You'll like this game. It has so much promise, so much potential. You can create whole lives with it, whole worlds. If you're feeling the intimidating weight of these rules in your hand, you may reasonably express some concern at this – how many rules does a game need? I should put your mind at rest. The basic rules of the game are terribly simple. Most of the text is here by way of example, since, the complexity and nuance of this game lies in its play, not in its mechanics. Any game of complexity and nuance needs a little explaining. And explanation is aided, if not wholly made redundant, by illustration, because while it is always best to learn a game through play, you can't always rely on someone else having played the game. Games – the best games – are communal experiences, you and me, us. Better to play any game the first time with a friend or a parent, or a more experienced lover, or an older sibling. You experience it through them. They share its secrets, its unwritten strategies, with you, and you, with only minimal reference to your own copy of the rulebook, will share these things with others in turn. Pity and admire the poor soul who begins the chain, and who must learn from the book without any intermediary. It's all right. You have intermediaries; I am not here, but here are four of my friends, their names Ryan, Ana, Sarah and – of course – Simon, whom I present as examples to you as they discover my game, so that the chain is already begun. Context: It is important that my friends are all in the same place at the same time, which occasion is these days perhaps rarer than it should be, and certainly rarer than it used to be. Occasionally, something comes up to bring them together, and this is why they are in my flat now, and I am not. The four of them, Ryan, Ana, Sarah and – inevitably – Simon, have been putting off this meeting. None of them has wanted to come, and had I not asked for it, had my absence itself not demanded it, they might not have come. They hoped to be in and out, to get their job done in a single evening, but in the event, it has taken them a lot longer to work through my things than they had wanted. It never works out that way. When things have been owned and loved, they never are only things, not really. And I am not here. It is pull-at-your-skin cold outside. And the heating in my flat has never worked that well. The cold slows my friends down, with their scarves and their jackets and their runny noses that serve as ample defence for the occasional sniffles and watery eyes that come to Ryan and Sarah, but not Simon and Ana, when they are reminded by these things that I am not here. My books – I have many – are not in fact a problem, but then no one thought they would be. All of my friends could find things they wanted, or which they could give away. Perhaps one or two things carry inscriptions on the flyleaf that wait hidden like landmines until someone casually flips open the cover and the memories detonate and a breath is caught, and tips of fingers are placed gently to a mouth and a pause must be made. But the impact is brief, and between the four of them, the books are neatly placed into stacks. The issue in the end is with the sundries. The little stuff, the keepsakes and ornaments and knickknacks, the things you can't get rid of so easily. Example: Ryan finds a photo album full of pictures of my one trip to India, and stares at photographs of a place where I was but in which I am wholly absent. They are mine. I made them. I am not there. He looks at each picture closely, as if hoping for a fingertip, a piece of my self, maybe even a picture taken by someone else. But I was too convinced of my skills as a photographer for that, and so the pictures are of solemn-faced moustachioed men in crisp rolled-up shirtsleeves standing in front of functional box-shaped buildings and palm trees, of groups of smiling children of stunning, sad beauty. Ryan looks the longest at a picture taken from the back of a cycle rickshaw of a street packed with bicycles and handcarts and shining Toyotas (a handwritten slip of paper beneath the photograph says, Moradabad, only that, which is nowhere Ryan has ever heard of). I am not there. Honestly, I was probably not there to begin with. In the back of the album are three letters to me from people whose photographs are in the book, which were never answered. When finished, Ryan closes the book, and puts it down and moves as if to turn away and picks it up again, and reads through it again, his face reddening and his mouth becoming the tightest of lines, and a third time, his long face yet more controlled, more immobile each time. It takes Ryan an hour or more to put it away and not return to it. Example: Sarah finds a carved wooden box, of the kind you can buy cheaply from the sort of shop that sells incense sticks and cushions and throws, the sort of box in which people like me like to store important things. Under a handful of concert tickets, Sarah finds a small collection of button badges for causes that she never knew I patronised and bands she hasn't heard of, and underneath them, a third archaeological layer, carefully folded letters from ex-girlfriends that none of my friends knew had even existed. She looks at the addresses and the first few lines and the names at the back, and then says out loud, addressing herself by name, that this is not her business. She asks the others what they should do with this, and the others look up from their preoccupations and shrug. She puts the letters back in the box, replacing the tickets and the badges on top, and she sits for a time, hugging the box on her lap, head down, behind her hair. She bites her lip, and knits her brows and buries her chin in her scarf. These things are not real. I am not there. Example: Ana finds herself browsing through the storage boxes under my desk. She opens an ever-so-slightly rusty Roses tin, and finds it full of old toys. Another smaller box contains a handful of funny-shaped dice in a variety of colours and some painted metal figures, each barely an inch high. She picks up one and holds it by the base, turning it this way and that, a wizard in a baroque headdress, who holds a long stick topped with the moon. She stands the figure on the top of the box, and rests her hands on her knees. She looks up into the middle distance and starts to cry, silently, pulling gently at the ring in her lower lip with the knuckle of her index finger. Watch Simon. He has found my notebooks and writing folders, stuffed into boxes and magazine files, handwritten and crabbed and messy and not in any sort of order. In a folder he finds the first chapter of a novel, printed out on A4 paper, six times over, each version bearing on its first page a different date and a slightly different version of my name in its header. Short stories that peter out before they reach anything like a satisfactory ending. Poems with date and time, written always on Sunday mornings between 11.30 and 12. 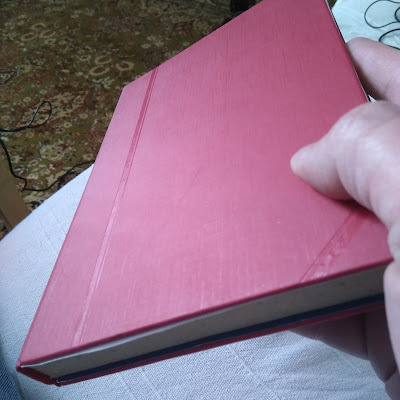 In a black leatherbound notebook with lined pages and an elastic strap to keep it shut, Simon finds a rulebook for a game that my friends already know how to play. He reads the first page, and this time, rather than skim, he starts from the start and keeps reading. I have written a rulebook, it says, for a game you already know how to play. This gives him pause, because it appears for a moment as if I am speaking directly to him. I'm not, of course. I am not here. And it is important to note that I am not writing this from an afterlife, that I am not a ghost or a presiding spirit. I am the narrator's voice in a book that contains the rules for a game that you may well already know how to play, which is not the book that Simon is holding right now, although the game it describes is similar. I give the illusion of immanence, but as in a Bible, the author of the rules is absent, no matter how many times the text claims otherwise. I am not here. I follow rules: I see, I hear; I don't read minds, I don't discern intentions. It's my game. I only have to follow the rules when I want to. But I know Simon. He is reading my rulebook, deciphering handwriting that sometimes goes up and down the margins of pages or round in circles and no supernormal powers are necessary to see that he is engrossed, and if the literary merit of that sad little notebook is perhaps not at the level of my better writing, or, I like to think, my poetry, it is evident that he believes that I am present in the book, that I am speaking to him through it. And he sits cross-legged on the floor with the book on his lap and his head down, resting on his fist, and he reads. Must you put aside your graces? Won't you spend some time with me? The question Simon is pondering right now is the same one everyone asks when presented with the conceit of a game: whether or not he is interested in having a go playing it. No one has to come to an answer immediately, but most of us make up our minds about how much enjoyment we intend to derive from our pastime before we've even started playing. We are distracted by nicely carved wooden playing pieces or a nice piece of artwork on the box, or a heavy cardstock board with a pleasing linen finish. Honestly, it's better to make up one's mind early on. First contact is important. If you find that you're not interested after all, you don't have to waste any time, while the chances are that an initial enthusiasm, which is often a conscious choice, will carry you through the parts that are complex, and the parts with the counter-intuitive and contradictory rules. – Hey, Si. What have you got there? – What? says Simon, not looking up. – Whatcha reading? says Ana. – Oh. This. I think it's rules. For a game. He holds up the book. The whole thing. – What sort of a game? says Ryan. That's a good question, Ryan. What you do is, you play parts in stories. Like in theatre, only you don't have a script or much of a stage and you don't have to put on costumes and act. Although you can if you want. Mostly, you can just sit around a table, or on sofas, or on the floor, or in bed – whatever suits you – and play. The object of the game is to touch or surprise your friends, to remind them what it's like to fall in love or to be afraid of the dark or be caught in infidelity. That's it. You can play it to win, and every game has a winner, but the prize is the right to end the story, to describe what happens to your character, good or bad. Every player creates a protagonist, a character with interesting strengths and dramatic flaws. But usually, to be honest, most characters are younger and sexier than their players, with no embarrassing habits and a more interesting life. and every round, one player uses his or her turn to create taxing and dramatic situations for the other players' characters. Through a simple system of gambling and bidding, you aim to win the right to narrate the outcome of the next scene. Your character – your fictional surrogate – can be anyone, do anything. A fantastic hero, a fairy tale princess, an inhabitant of the past or the future or of places that cannot possibly exist. Be a king or a president, a spy or a gangster, a poet or a magician or an astronaut. You could be a robot or a wonder-dog or an alien, if you want, or even an alien robot wonder-dog, if that inspires you. You put yourself in your character's shoes and talk with his or her voice, and imagine what he or she would do if put in the situations that your fellow players have inflicted upon him or her, if faced by the friends and enemies your fellow players have supplied. Your protagonist doesn't have to be like you at all. Sure, you can be autobiographical with it, and I agree that you may well take a pleasure or even find some sort of therapeutic merit in replaying events in your own life as if they had turned out differently, but please don't think you have to limit yourself. Once you've all created your protagonists, you create a narrative together. Sure, when you were a kid, you didn't need a rulebook to do this sort of thing. You fought wars on far-off planets, you were world-class athletes, you were pioneering surgeons and superheroes, sometimes at the same time. I want my game to work for you like the stories you made as a child, and I want them to have the same kind of clarity and truth you had when you were a child, and I want you to feel the same kick-in-the-guts immersion you felt when you were a child. Since we have grown up, we find it easier to play these things with codes and rules, since we no longer trust each other the way we do when we were children. Stories and conversations are games all the same; it cannot hurt at all to have access to the rulebook, especially since, and I don't know about you, but this was true for me, we forget how to do these things as we get older, and might perhaps need a refresher. Simon has just explained something of this to the others. – So what, we sit around in a circle and play let's pretend? Ana is sceptical. – I think there's more to it than that, says Simon. – I wouldn't know where to start, says Sarah. – I think we should play it, says Simon. None of the others behaves like they know what to say to this. – Seriously, says Simon, I mean it. He wrote this, like almost the whole book is rules for this game of his, or it's like stuff about the rules of the game. If that makes sense. – None whatsoever, says Ana. Simon isn't doing a tremendously good job of selling this to the others, I'll grant you. – He would have wanted us to, Simon begins. – He might have wanted us to jump off a cliff, Simon, says Ana. That doesn't mean anything. She's wrong. I really, really wanted them to find it. I disagreed with Ana about most things. She's one of the most annoying people I ever met. But what can you do? She's a friend. – I don't know, says Ryan. I don't know. So what, you're suggesting we play this game of his as some sort of mark of respect? – Exactly that, says Simon. – I don't know how that even works, says Ana. She has her arms folded. She is looking to one side. – Is it finished? says Ryan. – The game. Are all the rules there? Does it even make sense? – Not a clue. Simon flips through the pages as if somehow he'll figure out how consistent and complete the rules are right then and there. – See? Stupid idea, says Ana. – I don't think it's a stupid idea. Sarah is running her hands through her hair. She stretches, as if waking up. I mean, he made it. I mean, how long does it take to fill up a book like that? It must have taken him ages. She tucks her hands under her thighs as she kneels. What's the point of a game if no one plays it? – Come on, Ana, says Sarah. Let's give it a go. – It just seems really lame, says Ana. – It does. Ryan nods, slowly. It suddenly becomes apparent that he's been crying. But that's really not the point. – Yeah, I guess. Ana looks away again, arms folded so tight that her shoulders hunch right up. She is all joints, all corners. No one says anything for at least a minute. – So how do we play it, then? Ana unfolds her arms, cracks her fingers by flexing the joints. – I'll need to read the thing through, says Simon. Work out how to play it. – You mean we're not doing it now? says Ana. I thought you meant now. – Bit late in the evening, anyway, says Simon. I think it needs a bit more time. To do it some justice. – You're really not selling it to me, says Ana. Some to-and-froing follows regarding the best time for them all to meet up and play the game. Ryan offers eventually to make dinner for everyone Wednesday; neither Simon's wife nor Sarah's husband are busy that night, so they can sit for Sarah and Simon's respective kids – one each, Simon's son, Sarah's daughter, both within a month either side of two years old – and Ana's band practice is cancelled this week, so they can all go. No excuses. It gives Simon a couple of days to read the rules and make some sense out of them. By way of context: Ryan was married for 15 years; he met his wife, Karen, in university. Within twelve months they were living together; a registry office wedding happened about a year after they left university. They were both 22. In that first year of university, when they were both 19, Karen made a pact with her best friend, Gemma, that neither of them would ever have children. About four years ago, at the age of 29, Gemma gave birth to her first son, Owen. Although it took a few months, Karen eventually spoke to Gemma again; but the fact that Karen visibly disliked Ryan spending hours at a time playing with the little boy as he got bigger was not lost on us. One day Karen left him. He allowed her to leave. He will not ever hear a word said against her. And if Gemma still occasionally speaks to Karen, Simon, Sarah and Ana only talk to Ryan. Ryan still hates his job. He works longer hours than anyone he knows. He is alone. They spend another half-hour sorting through thing, but the fight's gone out of them, and when Ryan says he's got work in the morning, Sarah says actually she's going to bed and Simon nods and says, well, that's it then, and the three of them leave Ana there, and she sorts through my stuff on her own almost until the sun comes up and when no one can see her, she curls up on my couch and has a cry, and falls asleep, and a couple of hours later when she wakes and the sun is up, she feels better, or at least well enough to go home, and shower and collapse on her own bed.